Let the Bohemian spirit surround you! Customize your decoration and your accessories with these pretty Woodberries tassels. 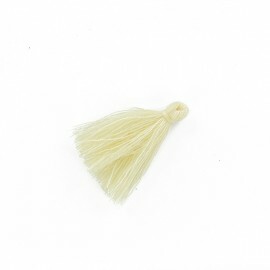 Ideal to make cushions, scarves and other decorative accessories, these Rico Design tassels can be shorten as you wish! Let the Bohemian spirit surround you! Customize your decoration and your accessories with these pretty Neon tassels. Ideal to make cushions, scarves and other decorative accessories, these Rico Design tassels can be shorten as you wish! Let the Bohemian spirit surround you! Customize your decoration and your accessories with these pretty Rainbow tassels. Ideal to make cushions, scarves and other decorative accessories, these Rico Design tassels can be shorten as you wish! Let the Bohemian spirit surround you! Customize your decoration and your accessories with these pretty Morning Dew tassels. Ideal to make cushions, scarves and other decorative accessories, these Rico Design tassels can be shorten as you wish! Let the Bohemian spirit surround you! 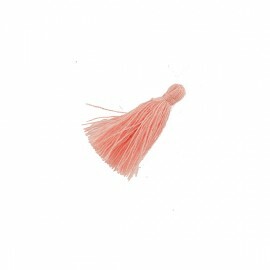 Customize your decoration and your accessories with these pretty sunset tassels. 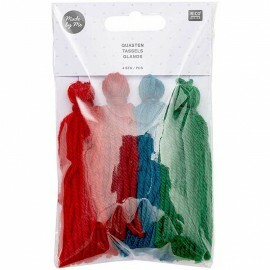 Ideal to make cushions, scarves and other decorative accessories, these Rico Design tassels can be shorten as you wish! Let the Bohemian spirit surround you! 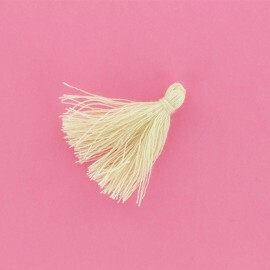 Customize your decoration and your accessories with these pretty pastel tassels. Ideal to make cushions, scarves and other decorative accessories, these Rico Design tassels can be shorten as you wish! Let the Bohemian spirit surround you! Customize your decoration and your accessories with these pretty aqua tassels. Ideal to make cushions, scarves and other decorative accessories, these Rico Design tassels can be shorten as you wish! 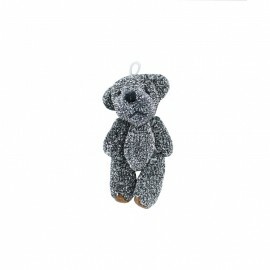 Customize your clothes and accessories in the blink of an eye with the black and silver Teddy Bear pompom! Embellish, for example, your too classic zippers closures with this pompom and its small convenient attachment! Make your keychains original and even the accessories of toddlers who will love it! Customize your clothes and accessories in the blink of an eye with the black and golden Teddy Bear pompom! 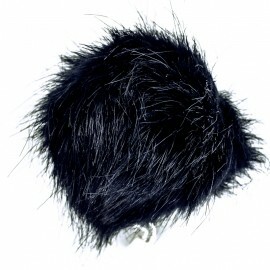 Embellish, for example, your too classic zippers closures with this pompom and its small convenient attachment! Make your keychains original and even the accessories of toddlers who will love it! 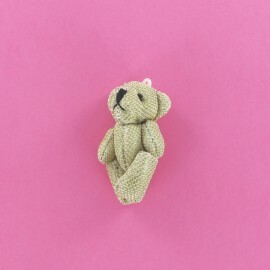 Customize your clothes and accessories in the blink of an eye with the golden Teddy Bear pompom! Embellish, for example, your too classic zippers closures with this pompom and its small convenient attachment! Make your keychains original and even the accessories of toddlers who will love it! 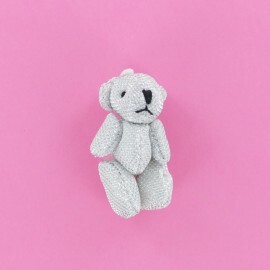 Customize your clothes and accessories in the blink of an eye with the silver Teddy Bear pompom! Embellish, for example, your too classic zippers closures with this pompom and its small convenient attachment! Make your keychains original and even the accessories of toddlers who will love it! 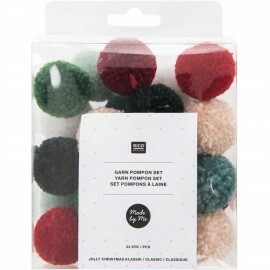 Customize your clothes and accessories with these pretty Christmas Classic woolen pompons. 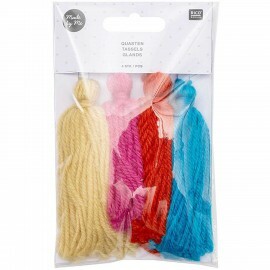 Ideal to make hats, scarves and other decorative accessories, these pom-poms from Rico Design come in a transparent box. 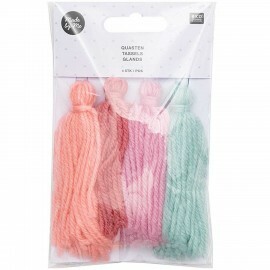 Customize your clothes and accessories with these pretty Christmas Pastel woolen pompons. 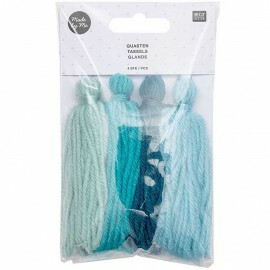 Ideal to make hats, scarves and other decorative accessories, these pom-poms from Rico Design come in a transparent box. 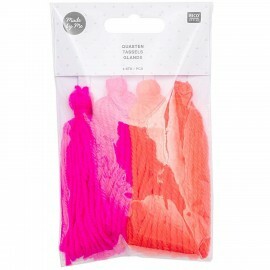 Customize your clothes and accessories with these pretty Neon woolen pompons. 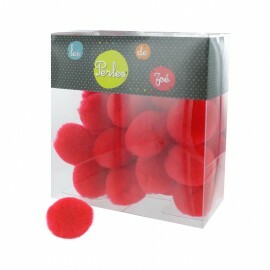 Ideal to make hats, scarves and other decorative accessories, these pom-poms from Rico Design come in a transparent box. 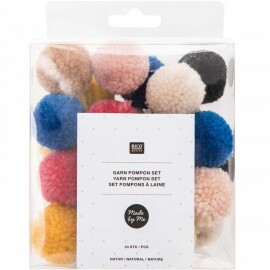 Customize your clothes and accessories with these pretty Natural woolen pompons. 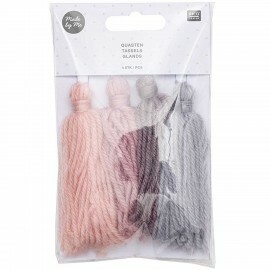 Ideal to make hats, scarves and other decorative accessories, these pom-poms from Rico Design come in a transparent box. 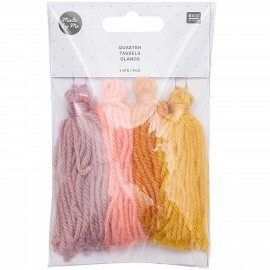 Customize your clothes and accessories with these pretty woolen pompons with pastel colors. 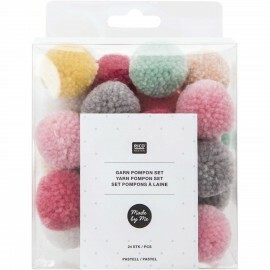 Ideal to make hats, scarves and other decorative accessories, these pom-poms from Rico Design come in a transparent box. 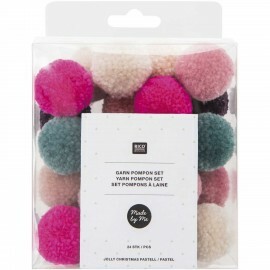 You'll love the lFluff XL multi pom pom ! As a decoration or as an accessory, bring a soft and cozy touch to your creation! Customize a hat for the winter, make a pom pom garland or add this pretty pompom to your keychain or your wallet, endless are the possibilities! 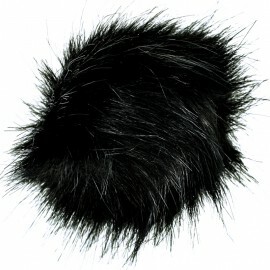 You'll love the lFluff XL ebony pom pom ! As a decoration or as an accessory, bring a soft and cozy touch to your creation! Customize a hat for the winter, make a pom pom garland or add this pretty pompom to your keychain or your wallet, endless are the possibilities! 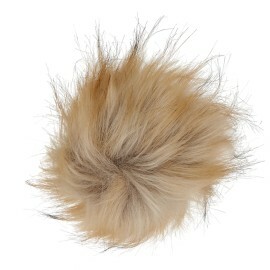 You'll love the lFluff XL blond pom pom ! As a decoration or as an accessory, bring a soft and cozy touch to your creation! Customize a hat for the winter, make a pom pom garland or add this pretty pompom to your keychain or your wallet, endless are the possibilities! 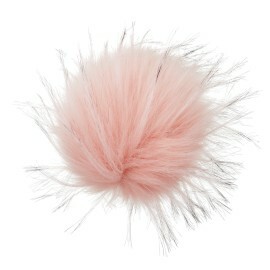 You'll love the lFluff XL powder pink pom pom ! As a decoration or as an accessory, bring a soft and cozy touch to your creation! Customize a hat for the winter, make a pom pom garland or add this pretty pompom to your keychain or your wallet, endless are the possibilities! 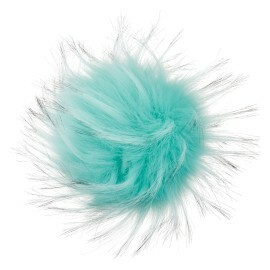 You'll love the lFluff XL mint pom pom ! As a decoration or as an accessory, bring a soft and cozy touch to your creation! Customize a hat for the winter, make a pom pom garland or add this pretty pompom to your keychain or your wallet, endless are the possibilities! 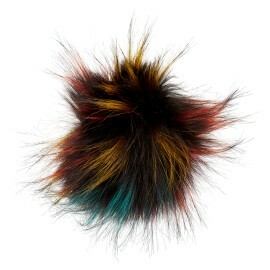 You'll love the Flame pom pom with fire colors ! As a decoration or as an accessory, bring a soft and cozy touch to your creation! Customize a hat for the winter, make a pom pom garland or add this pretty pompom to your keychain or your wallet, endless are the possibilities! 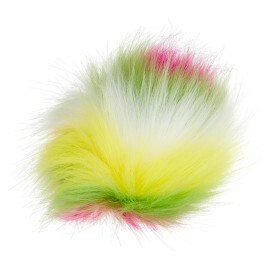 You'll love the Aqualand pom pom with sunny and bright color ! As a decoration or as an accessory, bring a soft and cozy touch to your creation! Customize a hat for the winter, make a pom pom garland or add this pretty pompom to your keychain or your wallet, endless are the possibilities! You'll love the Super Model pom pom with chic and glamorous tones ! As a decoration or as an accessory, bring a soft and cozy touch to your creation! Customize a hat for the winter, make a pom pom garland or add this pretty pompom to your keychain or your wallet, endless are the possibilities! 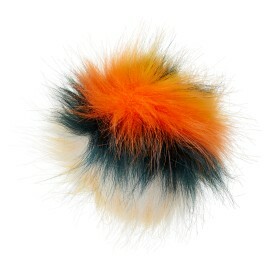 You'll love the Citrus pom pom with acidulous colors ! As a decoration or as an accessory, bring a soft and cozy touch to your creation! Customize a hat for the winter, make a pom pom garland or add this pretty pompom to your keychain or your wallet, endless are the possibilities! 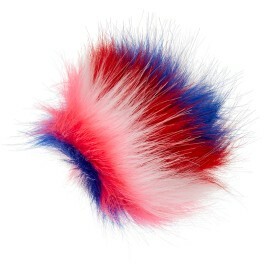 You'll love the National Pink pom pom with French national colors, revisited with some hot neon pink ! As a decoration or as an accessory, bring a soft and cozy touch to your creation! Customize a hat for the winter, make a pom pom garland or add this pretty pompom to your keychain or your wallet, endless are the possibilities! 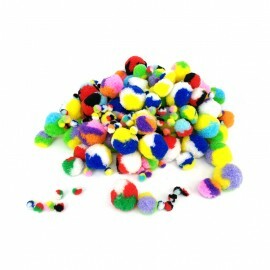 Discover the mix of 28 assorted multicolored pompoms to make crazy creations! 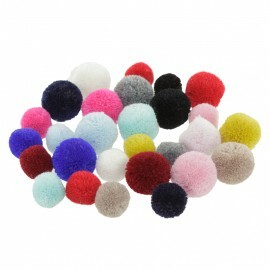 Jewelry, clothing, decoration, the possibilities of customization are endless with these sew-on pom poms! 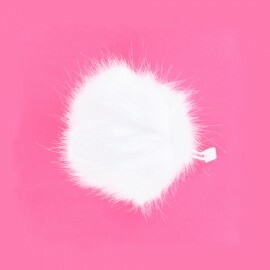 No need to create a pom pom with the new white faux fur pom pom! As a decoration or as an accessory, bring a soft and cozy touch to your creation! Customize a hat for the winter, make a pom pom garland or add this pretty pompom to your keychain or your wallet, endless are the possibilities! 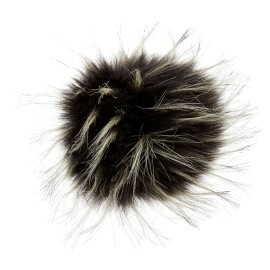 No need to create a pom pom with the new black faux fur pom pom! As a decoration or as an accessory, bring a soft and cozy touch to your creation! Customize a hat for the winter, make a pom pom garland or add this pretty pompom to your keychain or your wallet, endless are the possibilities! 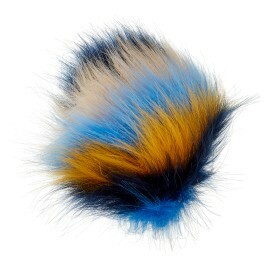 No need to create a pom pom with the new navy blue faux fur pom pom! As a decoration or as an accessory, bring a soft and cozy touch to your creation! Customize a hat for the winter, make a pom pom garland or add this pretty pompom to your keychain or your wallet, endless are the possibilities! 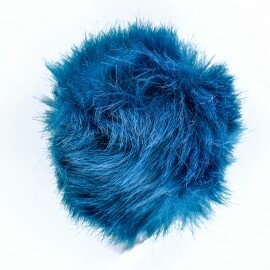 No need to create a pom pom with the new blue faux fur pom pom! As a decoration or as an accessory, bring a soft and cozy touch to your creation! Customize a hat for the winter, make a pom pom garland or add this pretty pompom to your keychain or your wallet, endless are the possibilities! 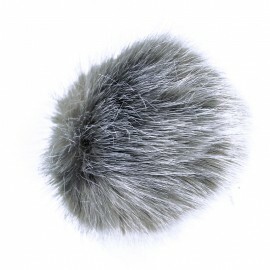 No need to create a pom pom with the new mouse grey faux fur pom pom! As a decoration or as an accessory, bring a soft and cozy touch to your creation! Customize a hat for the winter, make a pom pom garland or add this pretty pompom to your keychain or your wallet, endless are the possibilities! 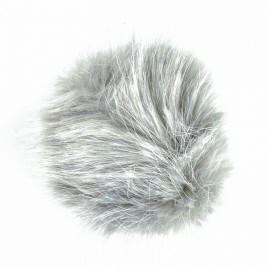 No need to create a pom pom with the new pearl grey faux fur pom pom! As a decoration or as an accessory, bring a soft and cozy touch to your creation! Customize a hat for the winter, make a pom pom garland or add this pretty pompom to your keychain or your wallet, endless are the possibilities! 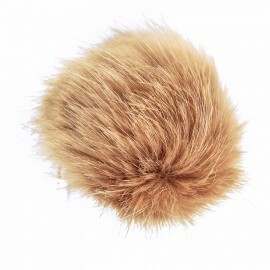 No need to create a pom pom with the new beige faux fur pom pom! As a decoration or as an accessory, bring a soft and cozy touch to your creation! Customize a hat for the winter, make a pom pom garland or add this pretty pompom to your keychain or your wallet, endless are the possibilities! 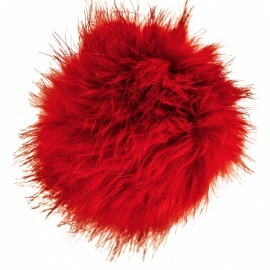 No need to create a pom pom with the new red faux fur pom pom! As a decoration or as an accessory, bring a soft and cozy touch to your creation! Customize a hat for the winter, make a pom pom garland or add this pretty pompom to your keychain or your wallet, endless are the possibilities! 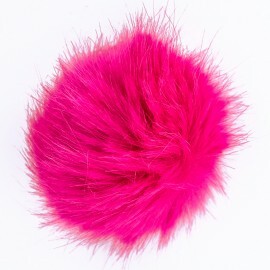 No need to create a pom pom with the new fuchsia faux fur pom pom! As a decoration or as an accessory, bring a soft and cozy touch to your creation! Customize a hat for the winter, make a pom pom garland or add this pretty pompom to your keychain or your wallet, endless are the possibilities! 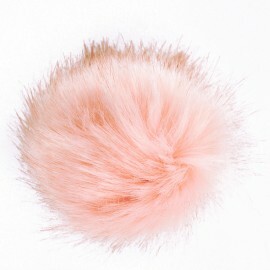 No need to create a pom pom with the new peach faux fur pom pom! As a decoration or as an accessory, bring a soft and cozy touch to your creation! Customize a hat for the winter, make a pom pom garland or add this pretty pompom to your keychain or your wallet, endless are the possibilities! 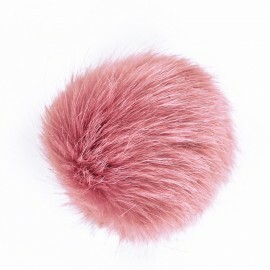 No need to create a pom pom with the new old pink faux fur pom pom! As a decoration or as an accessory, bring a soft and cozy touch to your creation! Customize a hat for the winter, make a pom pom garland or add this pretty pompom to your keychain or your wallet, endless are the possibilities! Create endlessly with these 25 mini royal blue cotton pom poms. You can customize your lamps, curtains, clothes and small items in the blink of an eye with just some thread and a needle! Create endlessly with these 25 mini light coral cotton pom poms. You can customize your lamps, curtains, clothes and small items in the blink of an eye with just some thread and a needle! 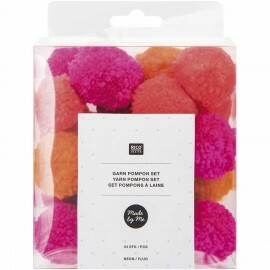 Create endlessly with these 25 mini garnet cotton pom poms. You can customize your lamps, curtains, clothes and small items in the blink of an eye with just some thread and a needle! Create endlessly with these 25 mini brown cotton pom poms. You can customize your lamps, curtains, clothes and small items in the blink of an eye with just some thread and a needle! Create endlessly with these 25 mini ivory cotton pom poms. You can customize your lamps, curtains, clothes and small items in the blink of an eye with just some thread and a needle! Create endlessly with these 25 mini beige cotton pom poms. You can customize your lamps, curtains, clothes and small items in the blink of an eye with just some thread and a needle! Create endlessly with these 25 mini red cotton pom poms. You can customize your lamps, curtains, clothes and small items in the blink of an eye with just some thread and a needle!